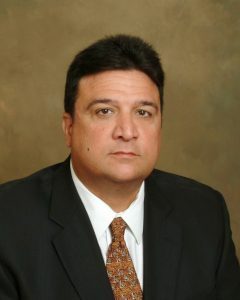 David Caveda has been licensed to practice law in Florida since 1992. He graduated from the University of South Florida in Tampa in 1987 and received his law degree from the University of Florida College of Law in 1991. David’s practice areas include Marital and Family Law, Divorce, Child Custody, Mediation, Military Divorce, and Guardianship. David has received an AV® Peer Review Rating by Martindale-Hubbell, the oldest and most recognized evaluator of attorneys and law firms. A small percentage of lawyers achieve this rating, which is the highest one possible. David has extensive experience in representing clients in contested family law matters, including mediations, hearings and trials. He is a member of the Hillsborough County Bar Association and its Family Law Section. David is also a member of the Family Law Section of the American Bar Association and its Military Law Committee. He completed Regular Army Basic Training at Fort Leonard Wood, Missouri in 1986 and graduated first in his platoon at the ROTC Advance Camp in Fort Bragg, North Carolina in 1987 before being commissioned a Second Lieutenant in the United States Army Reserve in 1990. He graduated the Field Artillery Officer Basic Course at Fort Sill, Oklahoma in 1994 and continued to serve in the Individual Ready Reserve as a Field Artillery Officer until he was Honorably Discharged in 1999. On a personal note, David is a life-long resident of Florida and is fluent in Spanish. He is a volunteer assistant coach with the University of Tampa junior varsity baseball team. He is married and resides with his family in the Hyde Park section of South Tampa. He was born in Miami in 1965.